An historic Dunedin based coffee producer has received a multimillion-dollar overhaul. The Gregg’s coffee roasting facility has redeveloped its production line to meet growing demand for the caffeinated drink. 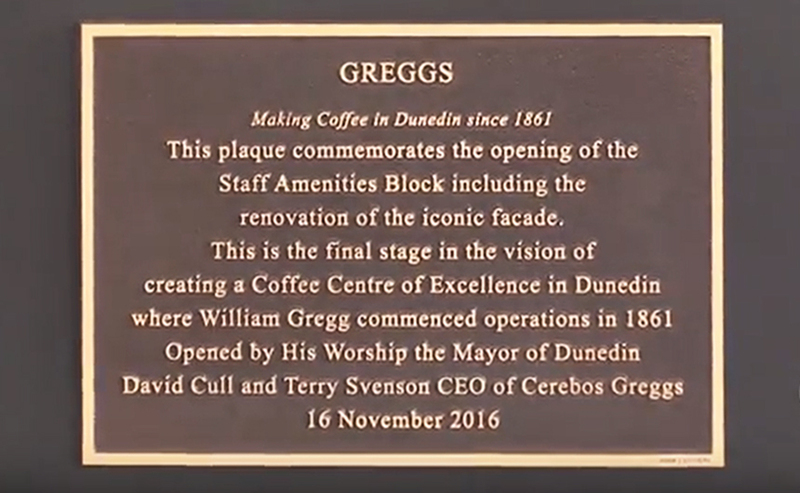 Cerebos Gregg’s yesterday celebrated the completion of a $20 million investment in its Dunedin plant in Forth St. The investment over the past two and a-half years has paid for manufacturing upgrades including new production lines, a warehouse extension, improvements to environmental compliance, a new staff car park, staff facilities and an open plan main office. Australian-based chief executive Terry Svenson said the investment in the plant that supplied coffee throughout New Zealand meant production would continue on the site where coffee had been made since 1869. The factory produces coffee for brands including Gregg’s, Robert Harris, Orb, Civo and Bruno Rossi. An Alexandra satellite research centre could be operational by the middle of next year. There was elation in Central Otago yesterday as Minister for Science and Innovation Steven Joyce announced a grant of up to $14.7million over four years for the Centre for Space Science Technology (CSST). Central Otago Mayor Tim Cadogan called the announcement a “game-changer” for Alexandra and Central Otago, and said the centre, which would boost Alexandra’s economy by an estimated $2.8million to $3.6million a year in its first three years, was “up next to the gold rush”. An Alexandra “innovation hub” hosting science entrepreneurs could be one of the spinoffs of a space-based research centre in the town. This week, Minister for Science and Innovation Steven Joyce announced a grant of up to $14.7million over four years for the Centre for Space Science Technology. Central Otago District Council economic development manager Warwick Hawker said that from the early days of the project, there had been discussions about creating an “innovation hub” in the town as an offshoot. 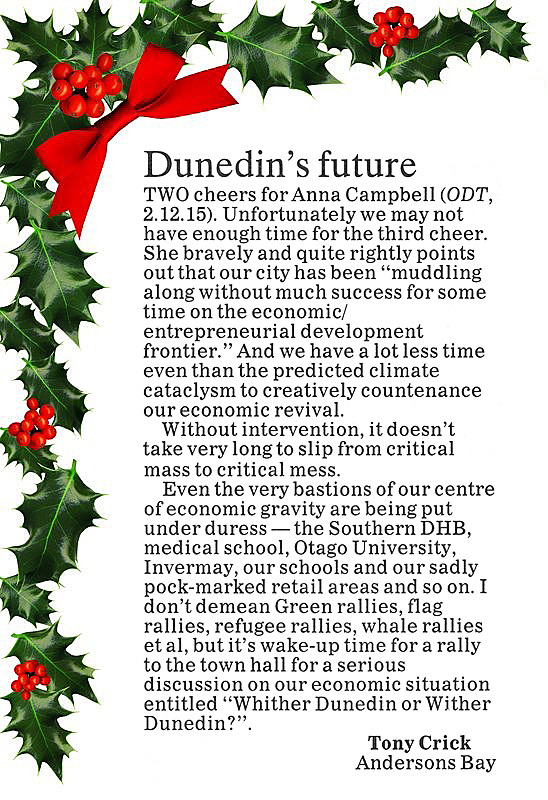 The ODT editorial congratulates “Alexandra and its commitment to secure a scientific future for Central Otago”. —And YAY(! 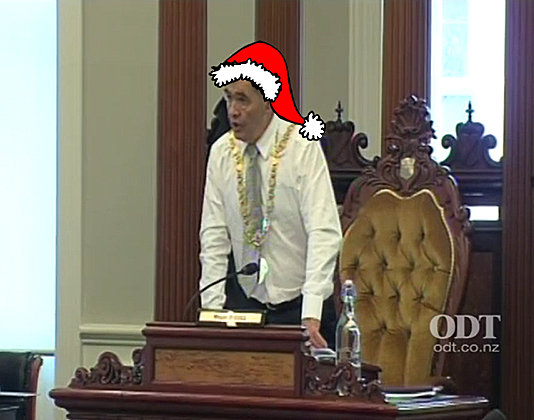 ), it swats Dunedin City Council as it should be SLAMMED. In turn then, praise to ODT – for speaking out against DCC’s pig ignorant lack of support for local and regional business development, thanks to Mayor Cull and his greenie Councillors. OPINION A significant amount of government money is being invested in creating the Centre for Space Science Technology which will be based in Alexandra. In total, the Government is spending up to $14.7 million over four years for the new institution with additional funding from industry. 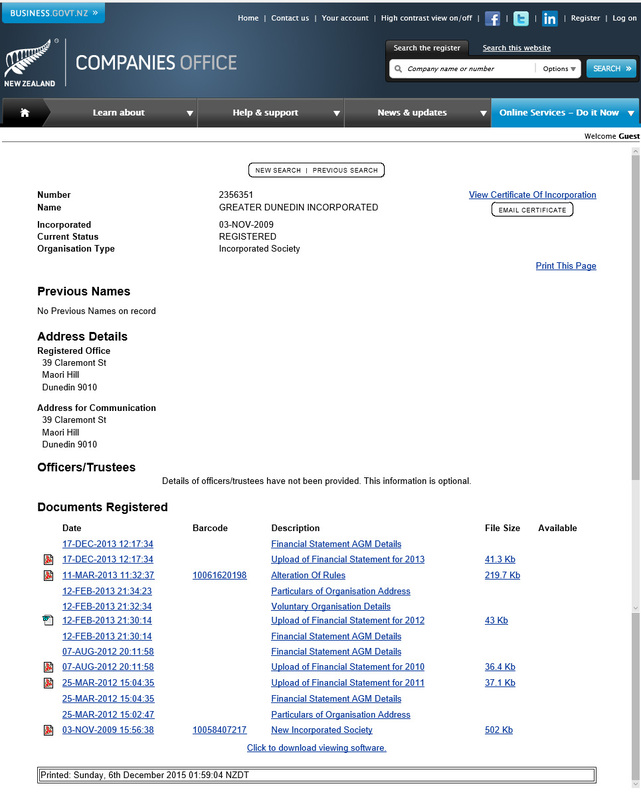 It will operate as a private, independently governed organisation. Science and Innovation Minister Steven Joyce says the centre will undertake research to explore the use of space-based measurements and satellite imagery unique to New Zealand to meet the specific needs of regional industries. Mr Joyce says a standout aspect of the proposal was the centre also having research hubs in Dunedin, Canterbury and Taranaki, further encouraging research and development and innovation in regional New Zealand. […] Contrast the attitude of the nine members of the Dunedin City Council who quickly showed their so-called green credentials on the same day of the Alexandra announcement. Those nine councillors voted to call on the Government to place a moratorium on deep-sea oil and gas exploration and extraction. Only four members of the council understood the implications of the vote. The council is again proving itself to be not business friendly. Sadly, those 11 members do not understand the landscape on exploration has changed. 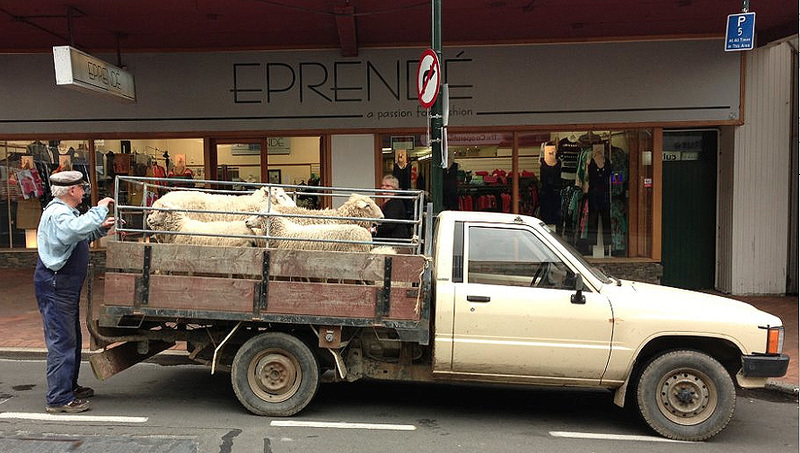 The latest version of the Dunedin City Council has been quick to show its green credentials. A majority of nine “yes” votes overwhelmed four “no” votes and an abstention when the council voted to call on the Government to place a moratorium on deep-sea oil and gas exploration and extraction. The vote was, in a way, an early test of the collective thinking of the new council after last month’s elections, in which there were allegations of a green “bloc” that voted together at meetings. Dunedin City Council (again) voted to call on the government to place a moratorium on deep sea oil and gas exploration. “Green as Grass” the ODT says. Cabbage heads led by a ‘man o’ straw’ is what I say. Fri, 29 Apr 2016 at 7:54 p.m. It is noticeable that the decision makers on the DCC who have made the decision on non oil investment are unaffected by their decision, because they and employees of the council are on fixed salaries, but the ratepayers, business men and women, and working persons in the city are severely compromised. OPINION The taxi driver swings his brand-new BMW out of Aberdeen train station. Behind him the sleek glass-fronted £250m Union Square shopping centre, with its Apple store and Hugo Boss shop, glistens in the afternoon sunshine. “Welcome to the oil capital of Europe,” he says with a smile. As we drive past Aberdeen harbour, crowded with cargo ships, he talks about his grandson. A multinational oil company is paying the 17-year-old £12,000 a year to study mechanical engineering at college. He will graduate into a guaranteed job. “He’ll be on £100,000 by the time he’s 25,” the cabbie says confidently. Such stories are common in oil-rich Aberdeen. The Granite City boasts the highest concentration of millionaires in the UK. Three-star hotel rooms can cost upwards of £370 a night. In a city of 220,000, unemployment is just 2% and average annual salaries more than £39,000, around £12,000 more than the UK average in 2013. DUNEDIN The citizens should dump their elected body just for failing to recognise possible opportunities for their ratepayers. This council would not have allowed gold mining had it been in charge in the 1860s. 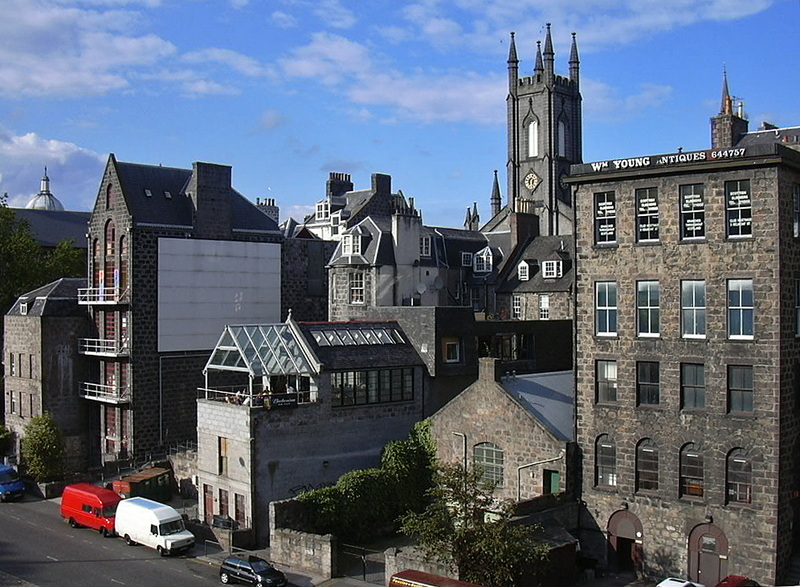 ABERDEEN : Granite City —the buildings sparkle after a rainfall. Aberdeen City Garden Trust has announced Diller Scofidio + Renfro (DS+R) as winner of the international design competition. The New York City based firm will be working with the Scottish practice Keppie Design and Philadelphia landscape architects OLIN. The £140m City Garden Project will radically transform the center, raising the nineteenth-century Union Terrace Gardens and covering over the “unattractive” Denburn dual carriageway and railway line. Residents are being given a bird’s-eye view of the planned Aberdeen City Gardens in a new video. Swooping around the pathways of Aberdeen’s Granite Web, the visitor is taken on a two-minute tour of the green spaces, flower beds and woodland. It has not quite gone to Hell, alas. ODT editor Barry Stewart on tonight’s 39 Dunedin News, announed Greater Dunedin has ended. This doesn’t mean the people from that popped cycle tyre won’t stand individually. The reign of Incompetent Spending Terror continues. But it’s a start. More spurning please. 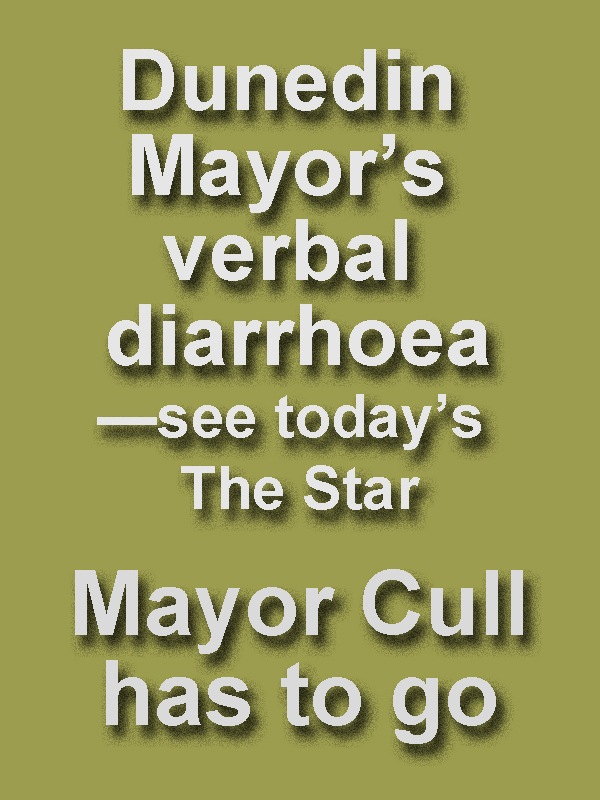 [HUGE PITY] Dave Cull is running for Mayor again.